I’ve tried to cram in as many photos as possible, so there are plenty of galleries like this one below. Click on the images to get a full screen version. 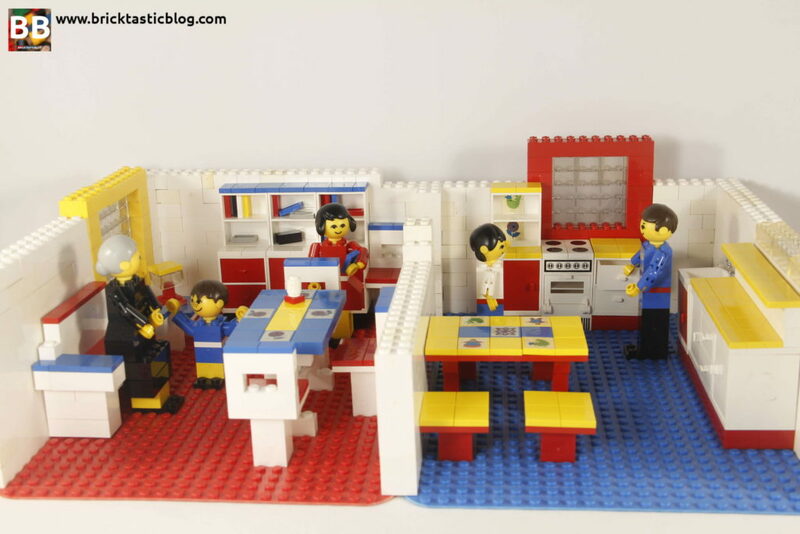 For this review, though, I’m going to be focusing on 5 particular sets, four of which belong to the LEGO Homemaker theme. 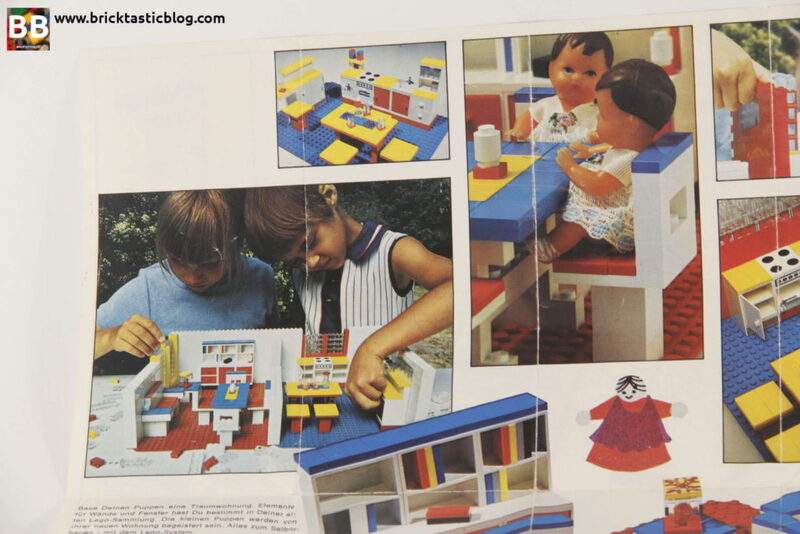 LEGO Homemaker was introduced in 1971, and lasted until 1982, and was the first theme aimed primarily at girls. Before I get into that, though, let me explain what happened before and after Homemaker, for “girls” sets. There were a few other attempts. Some we are familiar with, others maybe not. It really all started back in the mid 1950s. The world was reeling from World War II, and there was a big spending boom after the capacity for manufacturing in plastic went nuts. There was also the post WW2 “baby boom”, and childrens’ toys were in high demand. 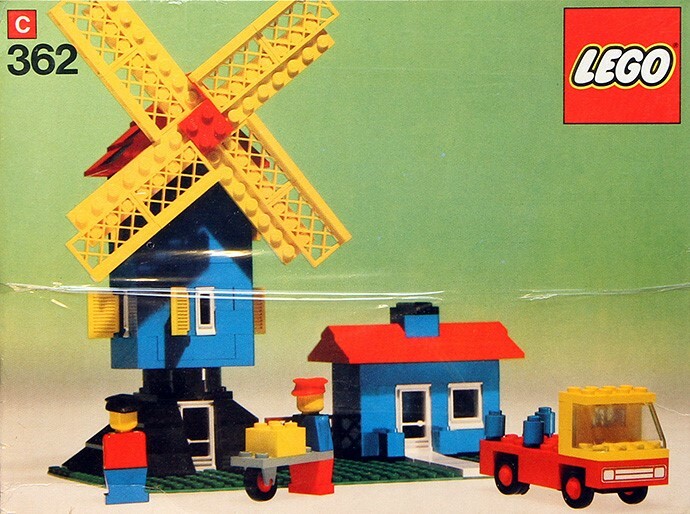 Back then, LEGO hadn’t taken the world by storm. They were really only in Europe, and couldn’t manage a massive distribution network, so, in order to reach other markets, deals had to be struck. One of those deals was with the Samsonite Corporation. 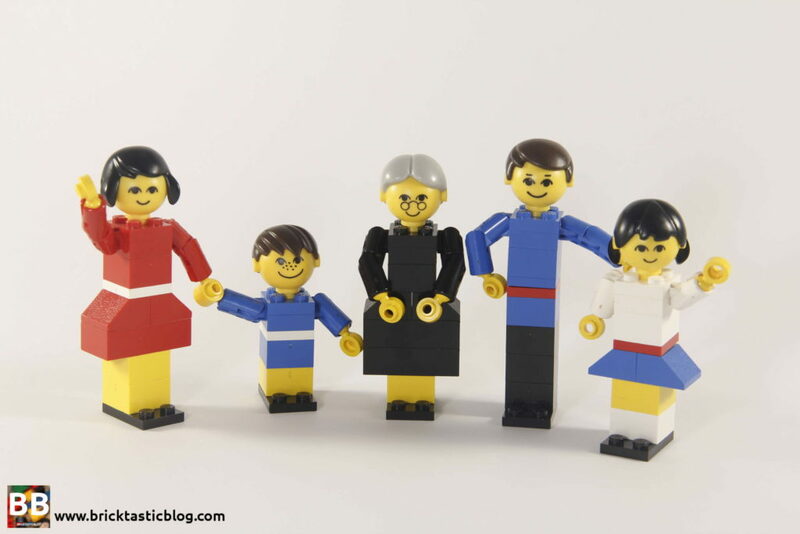 In 1961, Godtfred Kirk Christiansen, son of Ole Kirk Christiansen, the founder, signed a deal with Samsonite, allowing them to begin producing and selling LEGO products in Canada and the US. 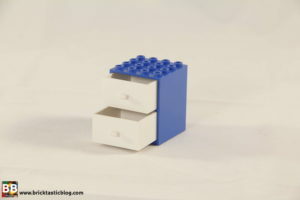 These were sold as LEGO by Samsonite. Samsonite had a few exclusive sets, but for the most part, they modified versions of the current sets at the time, or even inspired some. They introduced the US to the probable predecessor of Technic, in 001: Gears in 1965. Five years later, the EU, UK and Australian markets got their own Gears sets, based on the LEGO by Samsonite version. 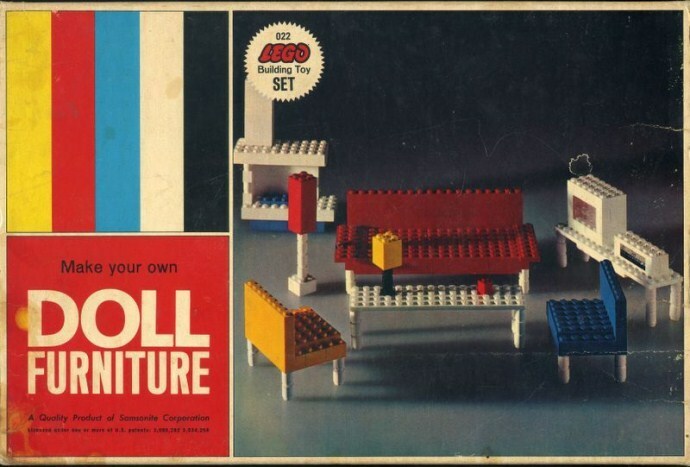 In 1965, LEGO by Samsonite released 022-2: Doll Furniture. This was the first girl centred set produced. 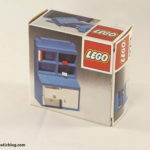 I think it might have been somewhat of an inspiration to LEGO to try it out for themselves? Who knows. 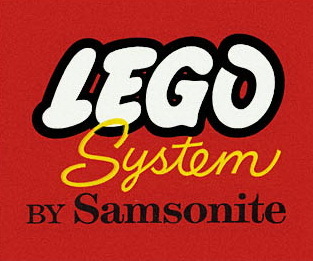 In 1972, the relationship between LEGO and Samsonite ended, and LEGO USA began. Samsonite still distributed to Canada, but stopped in the mid 1980s. 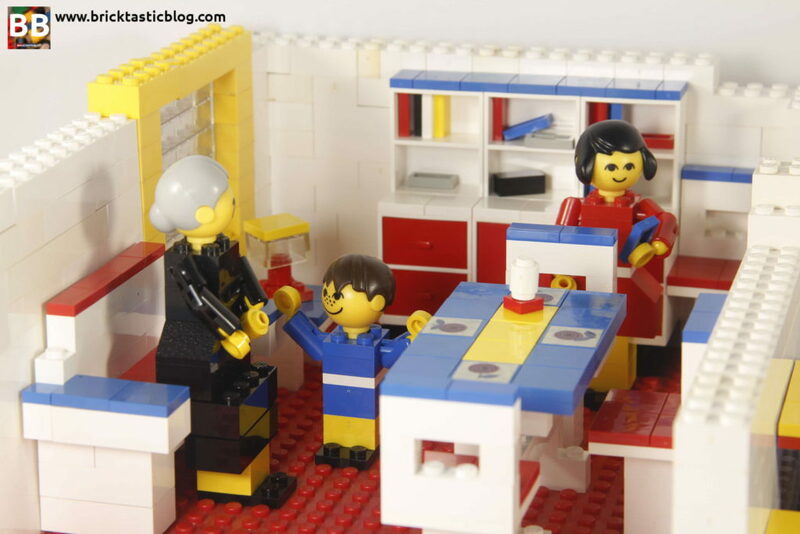 There is so much more about the story of LEGO and Samsonite. If you want to read more about it, I’d highly recommend checking out Brickfetish.com. It goes into great detail what happened, and the section above is from that material. 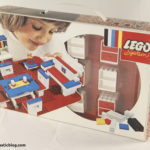 During the tail end of LEGO Homemaker, was Scala (1979 – 1980) – nine sets were released in what would later be seen as the first wave. 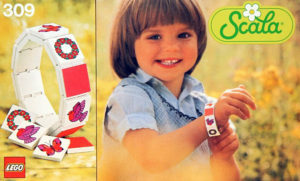 These were jewellery sets, that included bracelets, pendants, rings, and a picture frame and mirror. It was a short lived theme, but it’s not over yet this odd little concept. Then came Paradisa (1992 – 1997) – a subtheme of Town (later known as City) that used standard minifigures. Paradisa sets were the first to include new parts specifically for female characters, and Paradisa inhabitants were on perpetual holiday, with holiday activities in abundance. Think about what Friends would look like, but with the standard minifigures instead of minidolls. 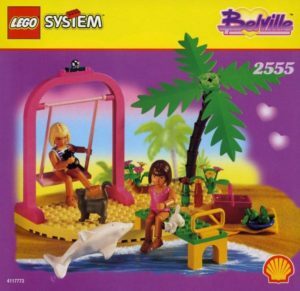 Belville (1994 – 2009) was introduced two years into Paradisa’s existence, during a time when LEGO was struggling as a company. These figures were much bigger than Friends mini-dolls, with a minidoll barely coming up to the waist of a Belville figure. These figures had joints at the elbows , knees, wrists and ankles, but their feet and hands could attach to standard studs. 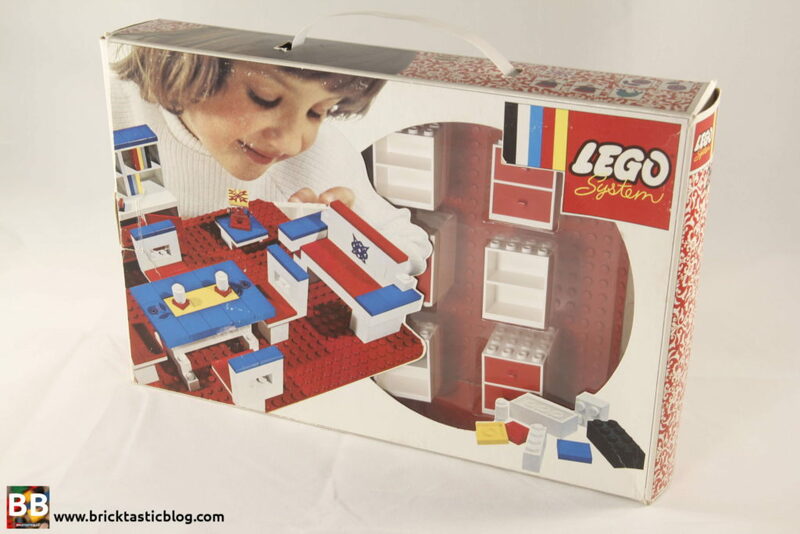 Obviously there were many specialised parts, but the sets also incorporated much of the standard LEGO system we still have today. Like Friends, there were some sets based on fairy-tales, and many of regular life. Around 80 sets were created. Scala came back for a second and very different attempt from 1997 to 2001. 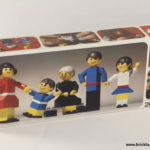 This was considered one of the biggest fails of The LEGO Group, with dolls much alike to Barbie dolls, and plenty of accessories and settings to match. Even worse, for the sets that were released in 1997 and 1998, the studs were flower patterned, and didn’t really connect with much of the rest of the system. They realised some of their mistake and in 1999 returned to regular studs. Two years later, the Scala line ended. Finally, 2012 brought to the world LEGO Friends. It’s a huge success, and I personally love buying Friends sets. The parts and designs are excellent, and there are plenty of brilliant sets coming out this year. 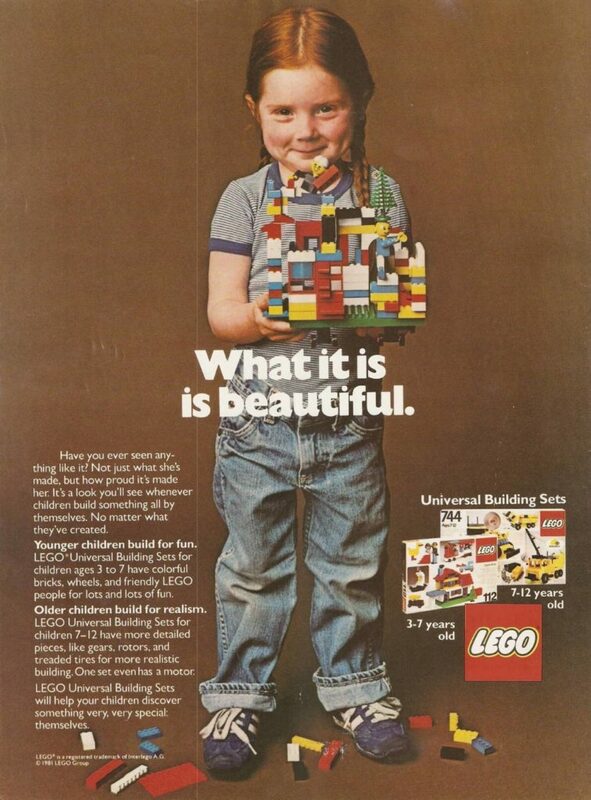 What’s interesting as a side note is that in 1981, when LEGO was trying out these different female oriented lines, the recently rediscovered 1981 LEGO poster of a little girl with her creation with the tagline “What it is is beautiful.” was released. I wonder if they remembered that poster when Paradisa came into the picture? Homemaker had two different sub-themes: furniture, and room settings. 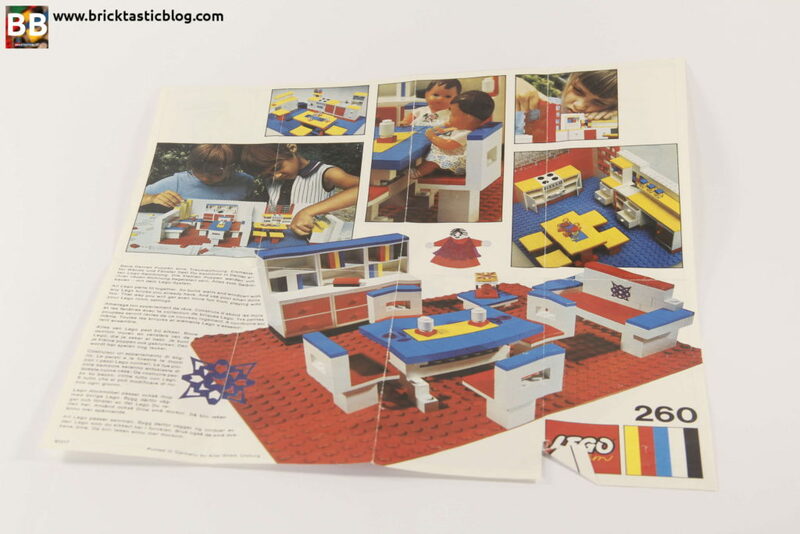 The sets were introduced, like I said, in 1971, and around 30 sets were produced. If you were lucky enough to collect them all, you would have had quite a dolls house, plus a few other settings, such as cute looking schoolroom from 1982. It took a few years for TLG to realise that while these rooms were lovely, there were no characters to enjoy them! In 1974, the Homemaker Figures were released. These “maxifigures” were brick-built, but had special torsos, hands, heads and hair elements. The beauty of these being brick-built was that they were customisable. If you wanted to change their clothes, it was as easy as swapping some colours or parts out. The male and female hair elements were reversible – one side for adults, the other side for the kids. A year after these maxifigures hit the market, the first iteration of the standard minifigure was released in 1975. These were the ones that had no faces, single mould legs, and no arms, but little shoulder bumps instead. 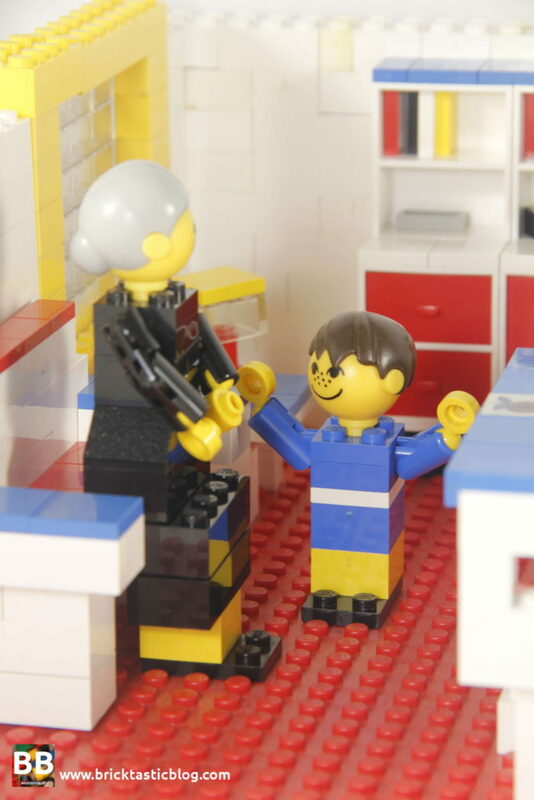 Three years later, in 1978, the first release of the modern minifigure hit the shelves, with 600-2: Police Car. By now, there’s billions. The modern minifigure was also once a baby! 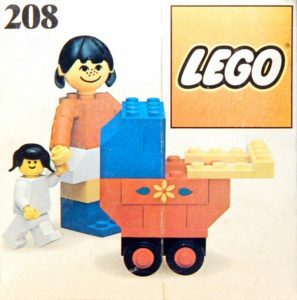 We were all very excited about the release of the first LEGO baby last year, but in 1978, with the release of the modern minifigure alongside the existence of the maxifigure, 208: Mother with Baby was produced. It looks strange, but at the same time, it was genius. It’s more of a toddler than a baby, but near enough. The maxifigures though, are the understated heroes. They started off the explosion of the minifigure, and we thank them for it. 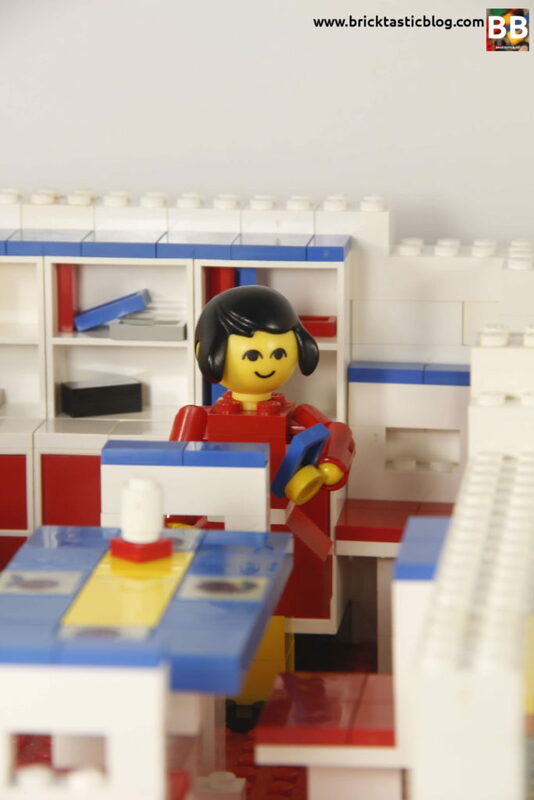 It also brought my all time favourite vintage theme – LEGOLAND, but we should never forget our roots. 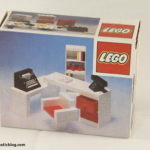 For the furniture and maxifigures, packaging was very similar to what we have today. Sure, the cardboard is a bit thinner, but these boxes can be resealed easily, and the ones I have at least haven’t faded. 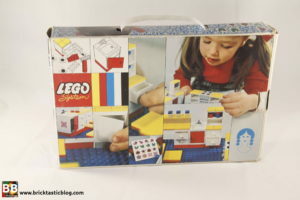 Each face of the box has a nice image of either the competed set, the parts that make it up, or someone playing with them. 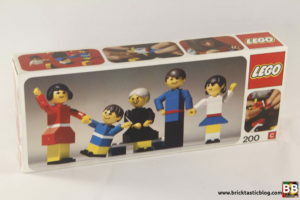 For 200: LEGO Family, there are some different configurations of the family. 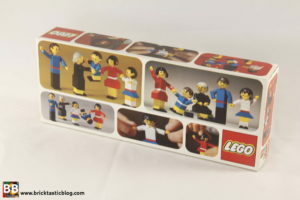 The box for the LEGO Family is different again, with a slide off cover. Inside there’s a tray with thick edges. It looks sturdy and strong, and very neat. 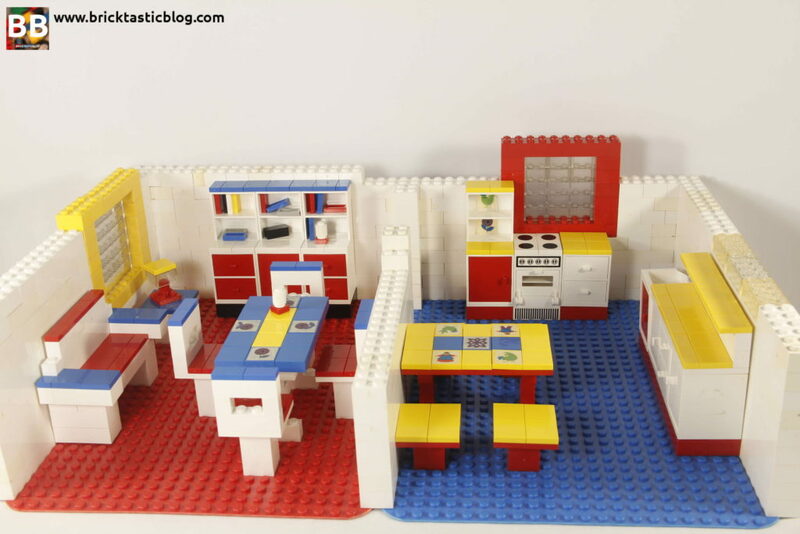 The LEGO Homemaker room sets? 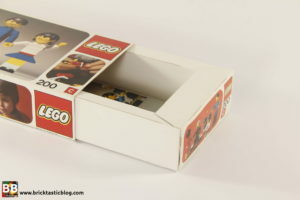 Well, LEGO really put a lot of effort into their packaging, and they did it well. These boxes are stunning. 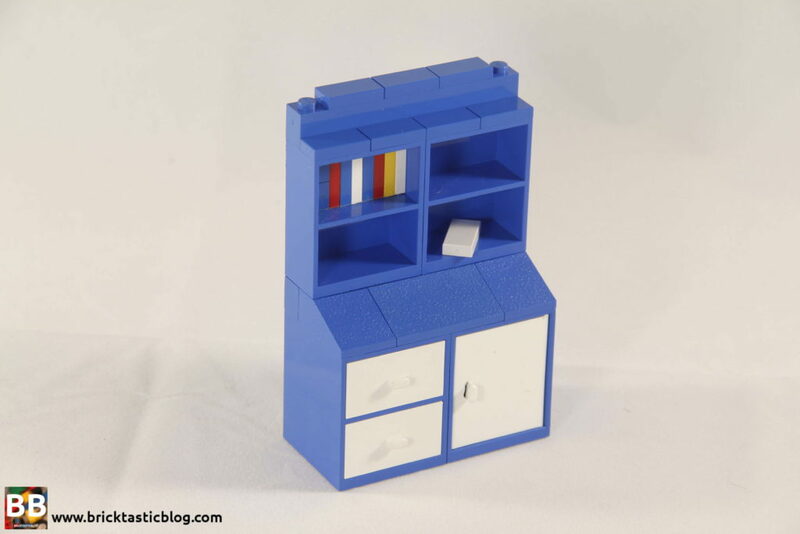 The front has a large image of the set, with a girl playing with it, and a huge circular window with a plastic moulded tray showcasing some of the cupboards, with the baseplate behind, and a separate box for the rest of the elements. 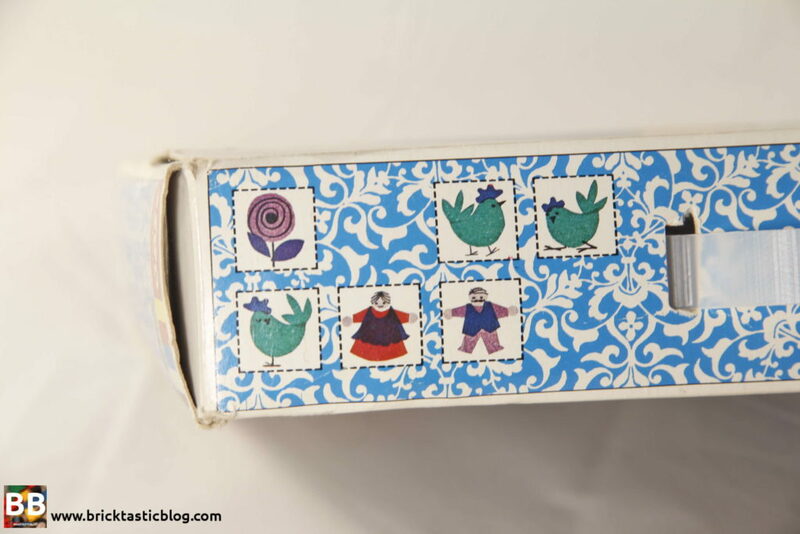 The edges of the box have a lovely blue and white or red and white pattern, with the top having a carry handle! Genius. There are also some strange square icons on them. These were a bit of an indication as to what stickers were included – yes, even these vintage sets had the dreaded sticker sheet! 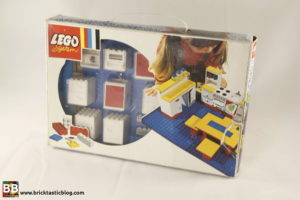 The rear of the boxes have a montage of different images, mostly of the set from different angles, but also of some drawings, and the LEGO System logo. I’m so happy I have two of these in my collection, and with the packaging in great condition. These are really special sets, and I’m determined to get a few more now. Looking at these elements was really interesting. For one thing, there are a lot of tiles! 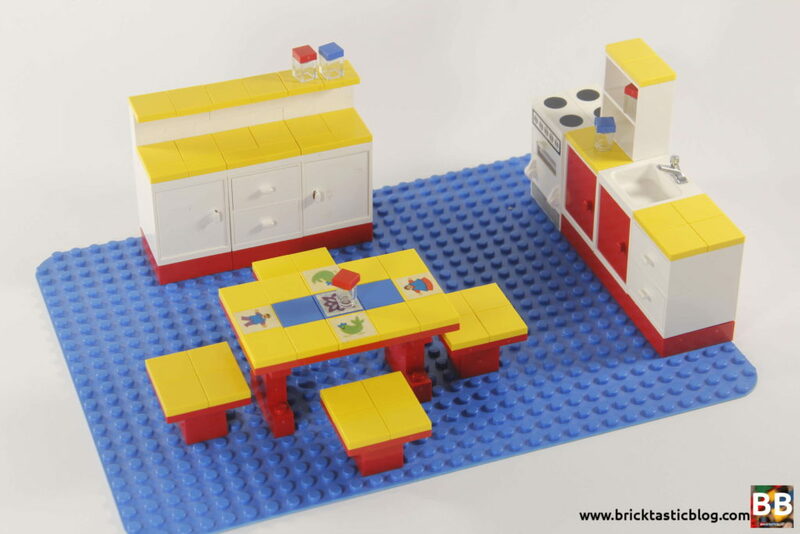 In all sets except LEGO Family, there are a large amount of tiles in bright colours – blue, red, white and yellow. The tiles are also a different design. With modern tiles, there’s a groove along the bottom, so it’s easier to pry the tiles up with either a fingernail, or a brick separator. These, though, don’t have a groove, so it’s very difficult to loosen if they’re stuck! It’s a smooth edge all the way down, that is even with the edge of the brick under it. 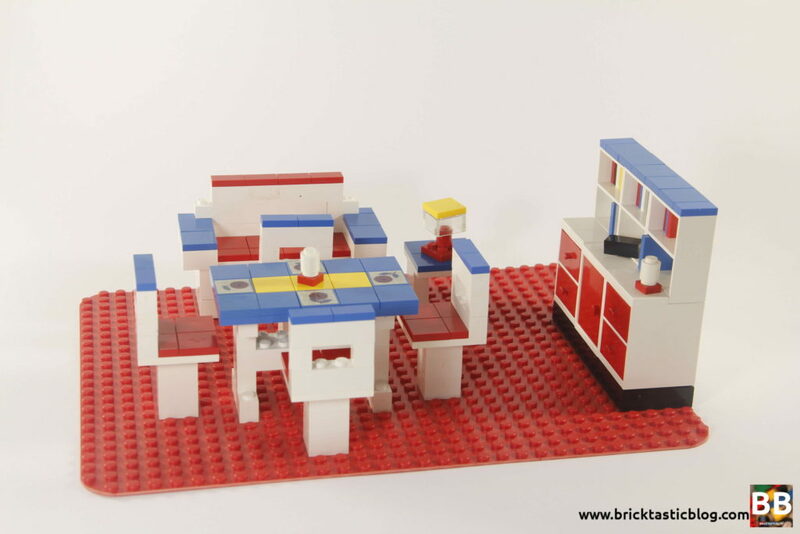 The baseplates in 260 and 261 are also different, as they have rounded corners. The most interesting elements, though, have to be the cupboards and bookcases. Some have door holder holes, but they are all beautiful, and with these sets, come in a variety of colour combinations. My favourite elements out of this entire setup make up the stove/oven, and the basin. There are six parts to the oven – the bottom grill and the switches (both printed), the oven, the shelf, the door and the hot plates. I am really impressed with the detail in this. It is absolutely stunning, and I am so impressed that there is a removable shelf! 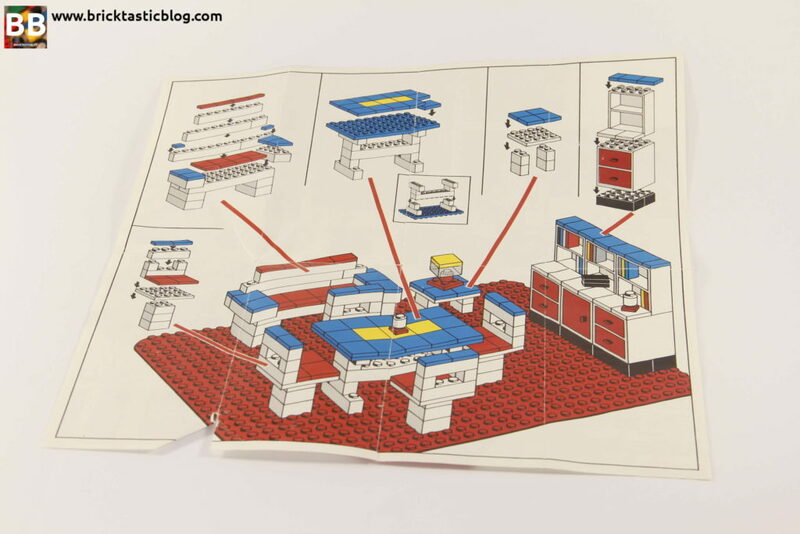 LEGO really put a lot of effort into this back in the day. The basin is equally as beautiful. The base and sink with tap come separate if the set is MISB (Mint in Sealed Box), but mine were obviously already put together. I am absolutely gobsmacked that the condition of these sets, with their boxes are so well preserved. Almost every kid I know would have been close to destroying the box to get at the goodies inside! These are nearly immaculate. I did find that some of the parts had lost their clutch power, but this was limited to the 1×1 elements. Everything else still had a relatively strong connection. All of the instructions were there, except for the kitchen. I had to go by the image on the box for that one. I could look at these sets all day. I really could! They are beautiful, innocent, and are just screaming out for someone to play with them. I’m so surprised that the Homemaker figures came out so much later – it seems like such a glaring omission. The beauty of these sets is that they’re modular. If you don’t like the way the kitchen is laid out, then shuffle it around! I’ve had it in a number of configurations already. It’s fantastic that it can be unique to each person that plays with it. It’s interesting to note that the instructions for these are so simple. It all fits onto one page, with each model getting the most basic of diagrams. The instructions also encouraged the use of other dolls to populate them. All Lego parts fit together. So build walls and windows with any Lego bricks you already have. And use your small dolls too. That way you will get even more fun from playing wiht (sic) your Lego room settings. 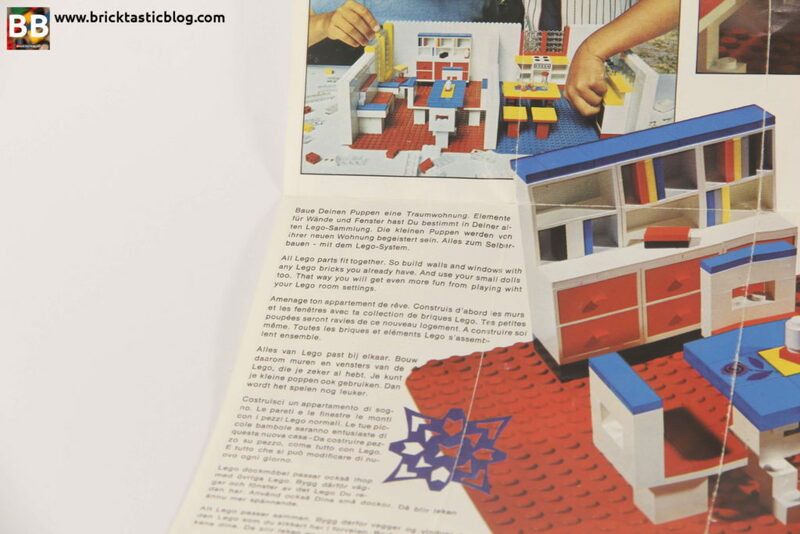 Not only was there a typo in the instructions, but there was also an image of them being set up as a house! I had the bricks from the same era, so I gave it a go. I did end up running out of bricks, and was extremely surprised that the white walls on the edge were half hanging off the baseplate, but I managed most of them. I was stunned at how good it looked. It was empty though, so I moved my Homemaker figures in. They just make the scene come alive! I was thrilled with how it turned out. I’m definitely going to try my hardest to get some more rooms and furniture. These sets are a forgotten wonder. I am so excited to have them in my collection. but some were still on the sticker sheet. I also came across a different promotion that LEGO ran. Included on the lid of the Kitchen’s parts box was a Golden Studs sticker. 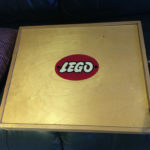 Peel off these Golden Studs and stick them on the Golden Bricks shown on the back of a LEGO leaflet to claim FREE GIFTS. Valid until 1st January 1977. Unfortunately the Golden Studs were gone, and replaced with a placemat sticker, but I was still excited to see it. I’m not sure what the golden bricks looked like as I didn’t have any on the leaflets I had, so if anyone knows these, please leave a comment below and fill us in! Speaking of stickers, the most interesting ones I saw were on the Secretary’s Desk. One was on the parts that made up the typewriter. It’s one big sticker, but stuck over two black roof bricks. I’d not seen this in a LEGO set for a long time. It’s a shame, but I’d not want to ruin the sticker by cutting it in half. 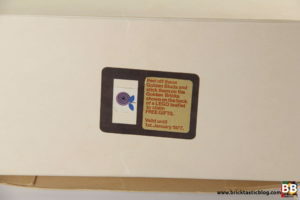 The phone had one (a rotary dial – excellent), and a notepad was stuck on a 2×2 white tile. It’s the small details that really accentuated the brilliance of this little set. 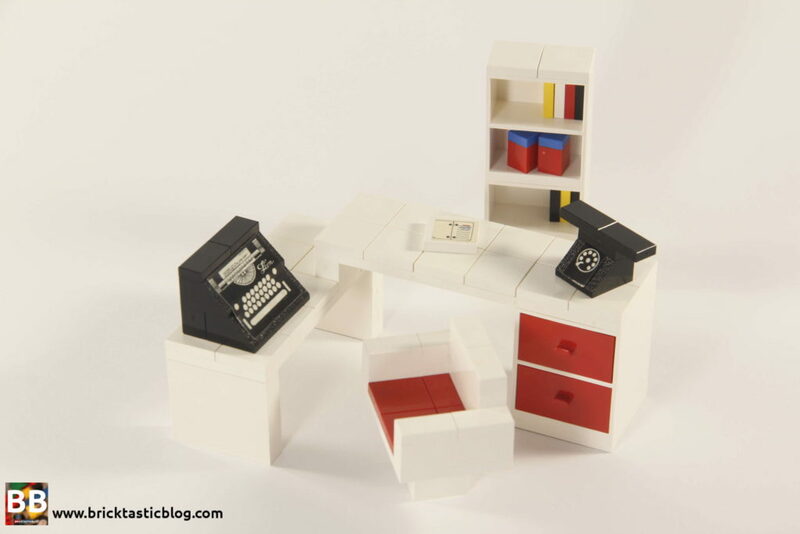 The last surprising detail was that anything that was on a shelf, desk or bench was not held in by studs. That included the “books” on the shelves. It made for nightmarish situations when the sets were moved, as any wrong movement would send things flying all over the place. Overall, I am absolutely over the moon that I have these sets. They are in excellent condition, look amazing, are relatively unique, and I’m going to try my hardest to increase my collection now that I know what they are! A massive thanks to Frances for selling them to me, and for looking after them so well for so long! I really do appreciate it. I’d also like to thank Bailey for some insights into the history of our favourite company. You’re a legend! If you’d like to see more images of these sets, take a look at the Flickr album. 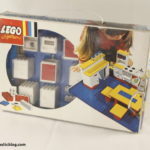 Do you have any vintage sets lying around? Do you remember the Homemaker sets? Did you have any as a kid? Leave a message in the comments below. 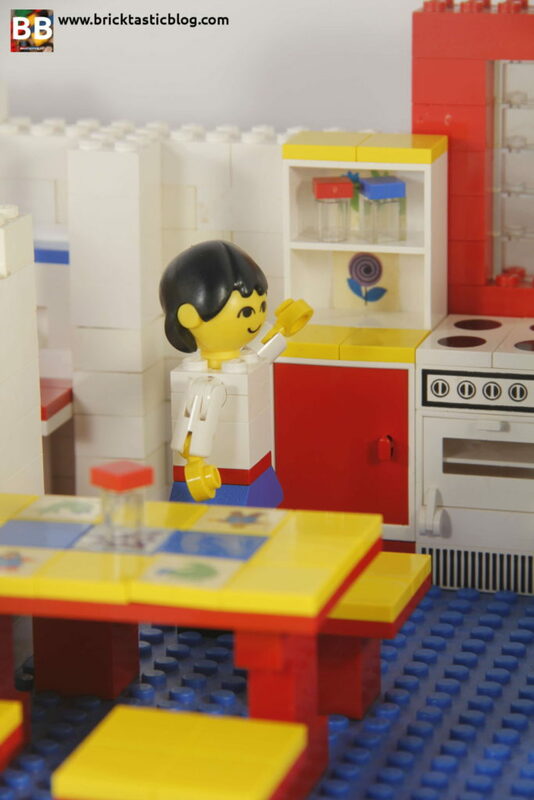 I’d love to find out what everyone thought of these stunning sets, and of the LEGO Homemaker Review. I have many sets available for sale. Fantastic, nostalgia filled writeup John, I still have fragments of our maxi figs at my parent’s house. We only had the basic family. They were a great introduction to characterisation. I especially liked the reversibility of the hair pieces, although grandma’s was a bit dubious from that point of view. Thanks Richard. I didn’t realise until I had a closer look at it. It was a pleasant surprise. I didn’t try it with Grandma though…I’m going to have to now! The only sets that I haven’t pictured yet (but do own) are the Zoo (258-1), Hospital (231-1) and Bungalow (232-1). Those will be the last ones to build up for display in the house. I don’t own many boxes and a few sets are unofficial meaning I have built them from pieces I had loose and ordered to be able to complete it. Sets 5233-1 bedroom and 5235-2 schoolroom I have built that way. Since I’m in Europe and they were only US released it’s very hard to get these sets officially. Same for sets 261-1, 268-1 and 269-1 which were upgraded sets of earlier released European sets 263-1, 264-1 and 265-1. But you will find info on this at my collection page. So yes I do collect and love to display them at home just like my action figures. Wow, Johan! That is an incredible collection! I’m very jealous. I’ve recently acquired another large collection of the Homemaker and Building Set with People sets – another 14 sets, including three of the complete rooms, so I’m a happy AFOL. I’ll be displaying them in the local Bricktober event in Perth, and will be sure to take some photos to post up! Do you also have the baseboard for 258: Zoo? I’ve never seen that one before! It looks amazing. Hi, I own 261 Dolls Kitchen. I have had it since I was a child and still adore it. 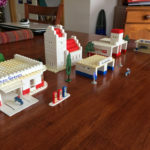 My son and I do loads of Lego sets together and sell our own themed mini kits at our local primary winter and summer fairs. Hi Elaine, I’m glad you liked the article! Of all the rooms I own, 261 is easily my favourite. 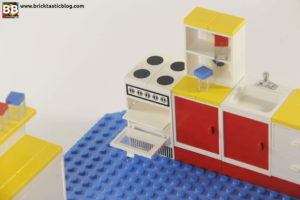 The oven is one of the coolest elements I’ve ever seen in LEGO. I’d love to see some photos of your own kits – can you send me some?